Not everyone is able to clean their house regularly, therefore, our qualified and hard working cleaners are always at customers’ disposal. 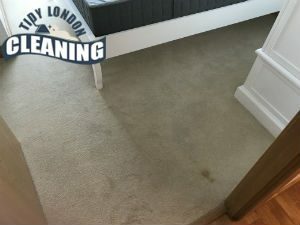 We are your trusted cleaning contractor in W7 and you can always count on us to make your home clean and sanitised again. Just give us a call and one of our dedicated cleaners will assist you right away. Our company was established a couple of years ago and ever since then we have been taking care of our clients’ homes. We have all the required skills and experience to handle any job. Give us a chance and we will demonstrate you what we are capable of. From us you can expect only fulfilled promises and high level of cleanliness. You can trust us because we collaborate only with experienced and diligent cleaning experts. With them you don’t need to worry about results because they are thoroughly trained and work always with a positive can do attitude. We understand that you may not feel comfortable letting unfamiliar people in your house but you can trust our cleaners because they are fully insured and have clear criminal records. 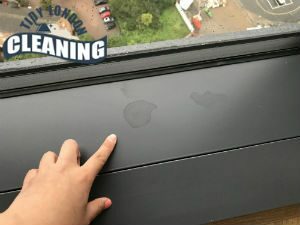 As a customer focused company, our desire is to deliver a cleaning service related to the personal needs of our clients. We are able to assist you with a one-off session as well as with domestic cleaning on a regular basis. One of our cleaners can visit you as often as you wish and keep your home neat and organised. In the service that we offer you is included cleaning outside cupboards, cabinets and wardrobes, wiping the kitchen appliances, washing the bathroom tiles, hoovering and mopping all floors, changing linen, etc. We are delighted to tell you that our cleaners are able also to work according to your preferences, so don’t hesitate to share your preferred areas with them. Everyone in Hanwell, who wants to try our fantastic domestic cleaning is welcome to contact us. We have enough of dedicated cleaners and will send one of them to your address at the first convenient time for you. Within the London Borough of Ealing, Hanwell is only 2.5km west of Ealing Broadway. Hanwell is rich in places of interest. It contains a number of churches, including St Thomas the Apostle, St Mellitus Church, St Mary’s Church. The latter is the original ancient parish church which was built in 1841. This area is quite well known for its carnival which has been held on the third Saturday of each June since 1898. The idea behind its establishment was to raise funds for the local hospital. Today, the Hanwell Carnival is the second-largest festival in the British capital only after the one held in Notting Hill and attracts more and more tourists from all over Europe. It hosts many interesting events like dancing, charities, live concerts and games for the little ones. There is also funfair which attracts many teenagers. There is also another festival held in Hanwell- the Annual Easter beer festival. We love to make people happy. That is why we established our cleaning company and specially created our unbeatable domestic cleaning services. Our mission is to make our customers’ lives easier and their homes cleaner. For this purpose we set economical pricing system because we want more and more people could be able to afford our assistance. For your convenience, we are available in Hanwell seven days of the week. Be sure that whenever you need us, we will be there to assist you. We will visit you fully equipped and prepared to get some work done.